Dr. Saba Mahmood, professor of anthropology at the University of California at Berkeley, passed away on March 10, 2018. She was only 56 years old when her life was cut short by pancreatic cancer. She is survived by her husband Professor Charles Hirschkind and son Nameer Hirschkind. Born in Lahore, Pakistan in 1962, she came to the United States in 1981. She received her PhD in anthropology from Stanford University in 1998 and taught at the University of Chicago before coming to the University of California at Berkeley in 2004. She lived only a few miles from where I live in Silicon Valley. But I was not lucky enough to get to know her personally. However, I developed immense respect for her based on her work, particularly her scholarship on secularism, feminism and Islamophobia in the post-911 world. Mahmood was the lone author of Religious Difference in a Secular Age: A Minority Report (2015) and Politics of Piety: the Islamic Revival and the Feminist Subject (2005), which won the Victoria Schuck Award from the American Political Science Association. She co-authored Is Critique Secular? (2011) and co-edited Politics of Religious Freedom (2015). She wrote several papers and articles related to her field of study. Examples include “Feminist Theory, Agency, and the Liberatory Subject: Some Reflections on the Islamic Revival in Egypt” and “Cultural Studies and Ethnic Absolutism: Comments on Stuart Hall’s ‘Culture, Community, Nation’". Mahmood was a student of Dr. Talal Asad, Pakistani-American professor of anthropology at the City University of New York (CUNY) Graduate Center. Talal is the son of Austrian-born Muhammad Asad (born Leopold Weiss) who served as Pakistan's ambassador to the United Nations in 1952. Mahmood saw many contradictions in modern secular governance. In spite of its claim to religious neutrality, the secular state does not hesitate to regulate and manage religious life in a way that is historically unprecedented. Mahmood wrote that “the rights of minorities are actually framed by the norms of the larger community; it’s against those norms that minoritarian claims are judged and contested, and that is where the idea of religious liberty and freedom of expression as an individual right remains inadequate to grasping the situation.” She saw the French ban on Muslim veil being upheld in courts on a very similar reasoning that there is a freedom of religion but the public expression in the form of wearing the veil contradicts the national secular norm. "The Feminist Majority's narrow focus on Taliban rule, and its silence regarding the channeling of US aid to the most brutal and violent Afghan groups (of which the Taliban were only one), seemed to cast an ominous shadow on the integrity of its campaign. At the very least it raised the question why conditions of war, militarization, and starvation were considered to be less injurious to women than lack of education, employment, and, most notably, Western clothes. The Feminist Majority's silence on these issues was coupled with a highly selective and limited representation of Afghan life under Taliban rule, one that filtered out all information that might contribute to a more nuanced understanding of Afghan women's situation." 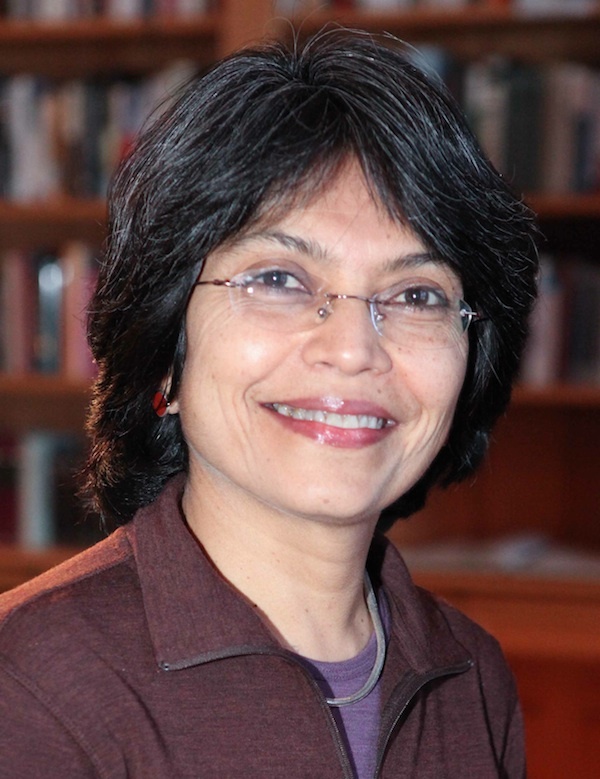 As a Muslim woman born and raised in Pakistan, Dr. Saba Mahmood's research and scholarship brought her unique perspective to the academic discourse on secularism, minority relations and the study of religion in the West. Her voice will be badly missed! May her soul rest in eternal peace!! Amen!!! Wonder why some of us never heard of her? Seems like a very accomplished person and sad to learn that she passed away at such a young age. A very well written tribute to her. Thank you very much for sharing this, Riaz. I had the impression she did not engage much with the Pakistani community. As I may have said earlier, she was the younger sister of a friend of mine when we were in high school in Karachi. Our Dads ran a carpool and she was in it. Ahmad: "I had the impression she did not engage much with the Pakistani community." Saba participated in some Pakistani events at Berkeley. She interviewed Faiz's daughter Salima Hashmi at a Berkeley event back in 2005. Couple of reports here. One by Ras Siddiqui and the other by Ali Hasan Cemendtaur. Such intellectuals are the need of the hour in Pakistan.. The University of California at Berkeley is a global leader for the study of South Asia, and one of very few institutions in the United States to offer both undergraduate and graduate degree programs focusing on numerous aspects of this vital region. As an integral part of the South Asia curriculum at Berkeley, interest in the study of Pakistan's history, politics, and culture is growing rapidly. We are strongly committed to strengthening our engagement with this subject in the years ahead. Asad Ahmed (Near Eastern Studies), Gregory Max Bruce (South and Southeast Asian Studies), Kiren Chaudhry (Political Science), Lawrence Cohen (Anthropology), Munis Faruqui (South and Southeast Asian Studies), Neil Joeck (Institute of International Studies), Asma Kazmi (Art Practice), Saba Mahmood (Anthropology). UC Berkeley is one of two institutions in the country that houses the Government of Pakistan funded Quaid-i Azam Chair in Pakistan Studies. The ISAS in collaboration with the Government of Pakistan established the Quaid-i Azam Chair of Pakistan Studies at UC Berkeley in 1999. It is named after Muhammed Ali Jinnah, the founding father of Pakistan, who is often referred to by the title, “Great Leader,” or “Quaid-i Azam." The goal of this chair is to encourage increased knowledge of Pakistan in the United States and to help forge better ties between American academics and their counterparts in Pakistan. According to the terms of the chair, the chairholder, chosen from a college or university in Pakistan, will have a full-time teaching and research position at UC Berkeley for up to two years. The funds for the scholar's salary and other expenses are provided by the Pakistan government. The first chairholder, in 2004-05, was Professor Tariq Rahman, a National Distinguished Professor and specialist in socio-linguistics. During his year on campus he taught a course titled “Language and Politics in Pakistan.” He also put together an Urdu reading group. The second chairholder was Professor Ishtiaq Ahmad Choudhry, the Dean of the Faculty of Arts and Social Sciences at the University of Sargodha. He served between 2009-10. At Berkeley, he taught a course titled "Current Political Trends in Pakistan." Due to educational reforms and political turmoil in Pakistan, the chair has been empty since 2010. We are extremely proud to announce that after a 5 year hiatus -- thanks to a $3.1 million grant from the US government -- the Berkeley Urdu Language Program in Pakistan (BULPIP) will recommence training students. Originally founded in 1973 and based in Lahore, BULPIP's purpose was to provide intensive Urdu language training to American students, scholars, and teachers who had research and professional interests in Urdu language and literature, Pakistan, Islam, and the Muslim communities of South Asia. The program ran continuously until 2001, when due to a State Department travel warning prohibiting students from traveling to Pakistan, BULPIP was forced to first temporarily move to Lucknow, India, and then subsequently shut down in 2008. Under the terms of the revived program, ISAS will run BULPIP in conjunction with the American Institute of Pakistan Studies (AIPS). The program will award fellowships to i) up to ten US-based graduate students per year to spend fifteen-weeks in the fall semester undertaking intensive Urdu language training at the Lahore University of Management Sciences (LUMS) in Pakistan and ii) train up to ten Pakistan-based Urdu teachers over the lifecycle of the grant in contemporary second-language teaching pedagogy through internship appointments (spanning two to four months) at US-based universities. Click HERE for further information on eligibility requirements or application procedures. It is often argued, she said at the 2016 conference, that the solution to religious extremism is more secularism, and that nations like Pakistan suffer from fundamentalism because the state and its people are not adequately secular. But the idea that secularism means the separation of church and state “is an old idea” that has been challenged by scholars for about the last 20 years, she said. In a preface to the 2012 edition of her book, Professor Mahmood described both the praise and criticism she had received from feminists. Her admirers saw it as tackling “feminism’s failure to come to terms with the viewpoints and lives of religious women, except as objects needing reform,” her husband wrote in an email. “Saba’s work demonstrated that women could be agents within, and not just against, patriarchal religious traditions,” he added. She circled back to her point in 2016 at a conference at the Lahore University of Management Sciences in Pakistan. “Politics of Piety” won a Victoria Schuck Award from the American Political Science Association. These scholars now argue that the condition of secularism is in fact one in which the state has become “more and more involved in the regulation of religious life and religious institutions,” she said. Thus, when Islamic movements struggle to make the state their means to Islamicize society, they’re in line with this modern conception of secularism, Professor Mahmood maintained. “Even in America, Protestantism is a very crucial aspect that informs almost all laws and practices,” she said. Saba Mahmood challenged progressive, secular and political certainties about religion and righteous politics. A professor of anthropology at the University of California at Berkeley, she passed away on 10 March 2018 at the age of 56 from pancreatic cancer. She specialised in sociocultural anthropology and was a scholar of modern Egypt. The following is a tribute to her life and work from her close friend and colleague, Raka Ray. I know others have written, and will write, about Saba’s entire oeuvre, but let me dwell here on the work I know best, the watershed Politics of Piety. The book is an ethnographic study of groups of women in Cairo who pursue an understanding of Islam not as a form of worship relegated to specific times of the day or week, but as a practice that permeates every aspect of their lives. Thus, they attend prayer and discussion meetings led by women, they strive in their comportment, their practices, their daily lives, and their clothing, to live a life in accordance with Islamic precepts in a secular world. But, their actions are not, Saba warns, to be understood as tradition reasserting itself over their agency. This movement could not have come about, after all, without fundamental transformations enabled by modernity; for example, the understanding that religious practice is not just a duty of rulers, but of ordinary Muslims. This could have also not come about without higher literacy and social mobility of women who came to lead the movement. Through Saba’s work we came to see that these pious women could not be thought of as dupes of patriarchal culture but, rather, that they were actively engaged in what she called a project of self-making that could really be grasped only within the cultural and ethical parameters of Islam. The challenge Saba posed, that had us muttering disapprovingly when we first heard it, was to the core feminist understandings of agency, which assumed the universal meaning of both agency and freedom. How, after all, were we to think of women who debated the Quran, saw veiling as an aspiration, and sought to find the discipline to pray five times a day? In the first instance, she reminded us that because of feminism’s politically prescriptive project the concept of agency was conflated with resistance. In other words, an act of reinscribing norms through embodied practices (such as veiling) could never be seen as agency, but an act of resistance, however small, would. In the second instance, she challenged the belief that there is, in all human beings, an innate desire for freedom; at least for a form of freedom understood as personal autonomy. She wrote a book that asked us to take the time to reflect on that which occurred in lifeworlds that were not our own, without feeling compelled to rush to the rescue. Even more than a challenge to contemporary feminism, Politics of Piety is an anti-imperialist book, which challenges core Western certainties about religion, secularism and righteous politics. This stance, however, meant neither that she was apolitical nor that she was completely at home with all religious assertions (as her detractors have often suggested). Rather, living in the United States (US), she felt that her task was to speak to audiences in the West and to its dominant liberal political projects that exerted such material and discursive power over the world, in the creation of which her audiences were often wittingly or unwittingly complicit. Through her writing and her public engagements, she sought to dispel dominant myths about the religious and the secular, and to draw attention to the sometimes fatal consequences of those myths.